W. J. T. Mitchell is Gaylord Donnelley Distinguished Service Professor of English and Art History at the University of Chicago. He served as Chair of the English Department from 1988 to 1991, and has been the editor of Critical Inquiry since 1978. He received his B.A. from Michigan State University in 1963, his M.A. and Ph.D. from Johns Hopkins University in 1968. He taught in the English Department of Ohio State University from 1968-77 before moving to Chicago. He is a member of the American Philosophical Society, the British Academy, and the American Academy of Arts and Sciences. He is the recipient of the University of Chicago Award for Distinguished Graduate Teaching, and the College Art Association’s Lifetime Achievement Award for the Teaching of Art History. Professor Mitchell has received fellowships from the Guggenheim Foundation, the National Endowment for the Humanities, and the American Philosophical Society, as well as research conference grants from the Rockefeller Foundation and the Exxon Educational Foundation. In the winter of 1993 he was awarded a research residency as the Fairchild Distinguished Scholar at the California Institute of Technology. During his editorship, Critical Inquiry has thrice been recognized for the “Outstanding Special Issue of a Scholarly Journal” (1981, 1988, 1998) and for outstanding design (for its special issue, Art and the Public Sphere) by the Conference of Editors of Learned Journals. Critical Inquiry also won the American Publisher’s Association award for an outstanding special issue in 1998. Professor Mitchell chaired the planning committee for the Chicago Humanities Institute in 1991 (now the Franke Institute), and has served on the governing boards of the Smart Gallery of Art, the Highgate Art Trust, the Benton Fellowship Program, the Franke Institute, and the University of Chicago Press, where he has served as Chairman of Board. In 1996, his book Picture Theory was awarded the College Art Association’s Charles Rufus Morey Prize for “an especially distinguished book in the history of art.” In 1997, Picture Theory received the Gordon E. Laing Prize for the book by a faculty author that has brought the most distinction to the University of Chicago Press. The Last Dinosaur Book: The Life and Times of a Cultural Icon (1998) was selected as one of the top 100 books of 1999 by the Toronto Globe & Mail. It was also nominated for the National Book Award and the Pulitzer Prize, and won the Award of Excellence and the Juror’s Choice for design at the 1998/99 Chicago Book Clinic Show. What Do Pictures Want? (Chicago, 2005) won the James Russell Lowell Prize for literary criticism from the Modern Language Association of America in 2007, and was subsequently awarded the University of Chicago’s Laing Prize for a distinguished book by a Chicago author. He joins Marshall Sahlins and Paul Ricoeur as the only authors to win the Laing Prize twice, and is the only author to win book prizes from both literary (MLA) and art historical (CAA) professional associations. Two books about his work have appeared: The Pictorial Turn, ed. Neal Curtis (Routledge, 2010) and W. J. T. Mitchell’s Image Theory: Living Pictures ed. Kresimir Purgard (Routledge, 2016). Professor Mitchell’s articles have appeared in numerous journals, including Art in America, October, Art Bulletin, London Review of Books, Boston Review, Times Literary Supplement, Artforum, Cahiers de l’art moderne, Krisis, Representations, Raritan Review, AfterImage, Salmagundi, Works & Days, New Literary History, ELH, South Atlantic Quarterly, Studies in Romanticism, Eighteenth Century Studies, Trafic, Interfaces, Transition, and The Chronicle of Higher Education. Translations of his writings have appeared in French, German, Spanish, Italian, Polish, Dutch, Danish, Hebrew, Swedish, Russian, Chinese, and Japanese. His work is primarily focused on the interplay of vision and language in art, literature, and media, and the subjects of his articles range from general problems in the theory of representation, to specific issues in cultural politics and political culture. His books include Blake’s Composite Art (Princeton, 1977), Iconology (Chicago, 1986), Picture Theory (Chicago, 1994), The Last Dinosaur Book (Chicago, 1998), What Do Pictures Want? (Chicago, 2005), Cloning Terror: The War of Images, 9-11 to the Present (Chicago, 2011), Seeing Through Race (Harvard, 2012), Occupy: Three Essays in Disobedience (Chicago,2013; co-authored with Michael Taussig and Bernard Harcourt) and Image Science: Iconology, Media Aesthetics, and Art History (Chicago, 2015). He is preparing an exhibition and catalog entitled Metapictures for the OCAT Institute in Beijing. He is currently finishing a new book, Seeing Madness, Up Close and From Afar. He has edited seven collections of essays, all published by University of Chicago Press: The Language of Images (1980), On Narrative (1981), The Politics of Interpretation (1983), Against Theory (1985), Art and the Public Sphere (1993), Landscape and Power (1994, 2nd edition, enlarged with 5 new essays, 2004), and Critical Terms for Media Studies (co-edited with Mark Hansen, 2010). 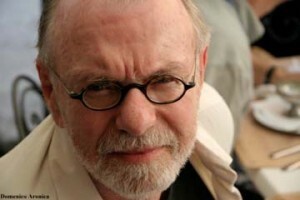 During his editorship, Critical Inquiry has published issues on canon-formation, gender, race and writing, public art, politics and poetic value, metaphor, psychoanalysis, identity politics, pluralism, new directions in art history, questions of evidence, intimacy, comics and media, and many other special topics. Professor Mitchell has served as a Professor at the School of Criticism and Theory three times (Northwestern University, 1983; Dartmouth, 1990, Cornell University, 2016), and has lectured at universities and art museums throughout the United States, as well as in Europe and the Far East. Recent special teaching assignments include a Mellon Faculty Seminar at Tulane University, a seminar on Romanticism at Beijing Foreign Studies University in China, an NEH Summer Seminar for College Teachers at the University of Chicago, a post as Canterbury Visiting Fellow at Canterbury University, New Zealand, a visiting professorship at the Institute for Art History, Aarhus, Denmark, and two visiting professorships at the Institute for Fine Arts and English Department at New York University in 1998 and 2000. The South African Council for Scientific Development sponsored his lectures in Capetown, Durban, and Johannesburg in the summer of 1997, and Duke University invited him to give the Benenson Lectures in Art History in the spring of 2000. In the spring of 2002 he was awarded the Berlin Prize Fellowship to the American Academy in Berlin, and in the fall of 2002 he delivered the Alfonso Reyes Lectures in Mexico City. He was a fellow at the Wissenschaftskolleg in Berlin in 2004-5, and has given lectures at the House of World Cultures, the ICI, Humboldt University, the Freie Universiteit, and other Berlin institutions. Other recent lectures include the W. E. B. Du Bois lectures at Harvard (2010), and the Patten Lectures at Indiana University. He was a research fellow at the Clark Institute for Art History in the fall of 2008 and the spring of 2012, and has been a research fellow at the Getty Research Institute for Art History in 2013 and 2015. He was the Distinguished Visiting Humanist at the University of Rochester in April of 2018.